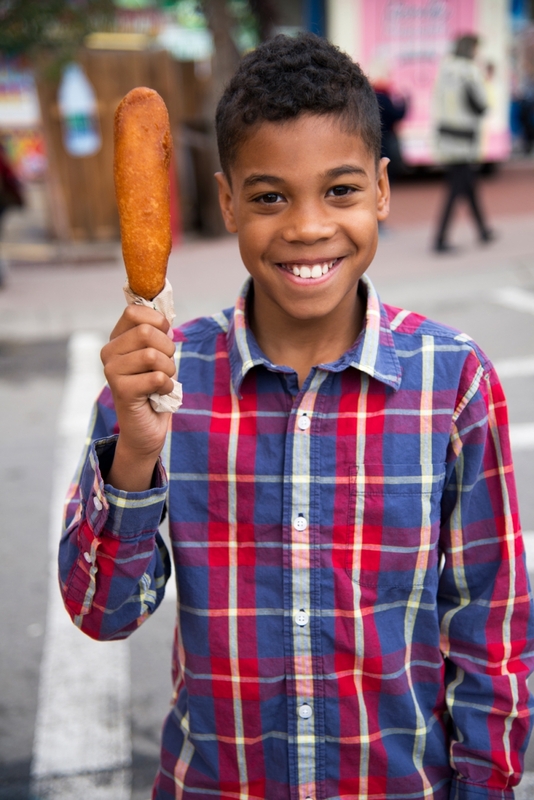 The Classic Corndog. 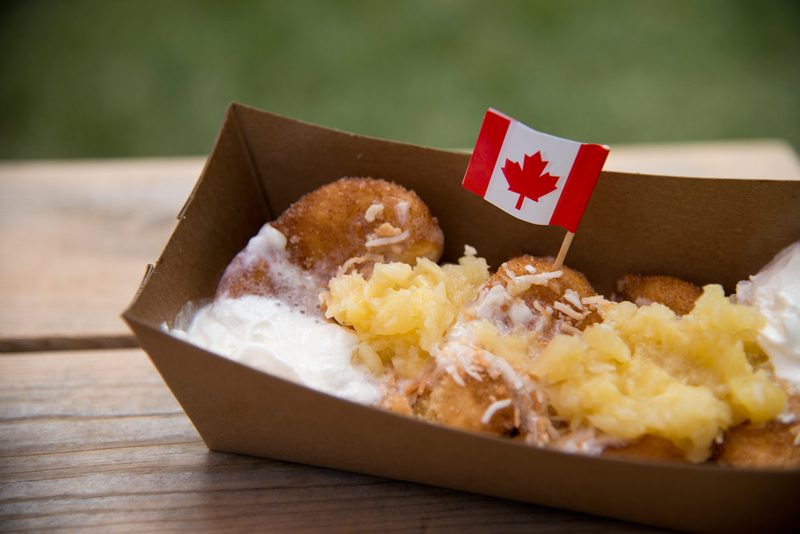 Now available in mini, regular, footlong, poutine, bacon, or pickle-stuffed, there’s a corndog to suit every palate. Eat them plain, like this happy Stampede-goer, or with ketchup and mustard. 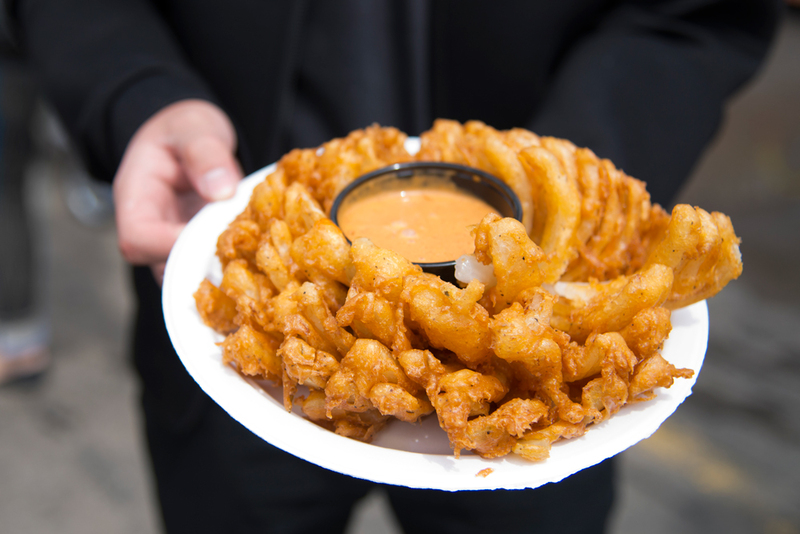 An onion the size of your head, sliced, dunked in a batter bath, and deep-fried, blooms like the midway version of a lotus flower, with a cup of chipotle dip in the center. Serves 2, maybe even 4, possibly 6. 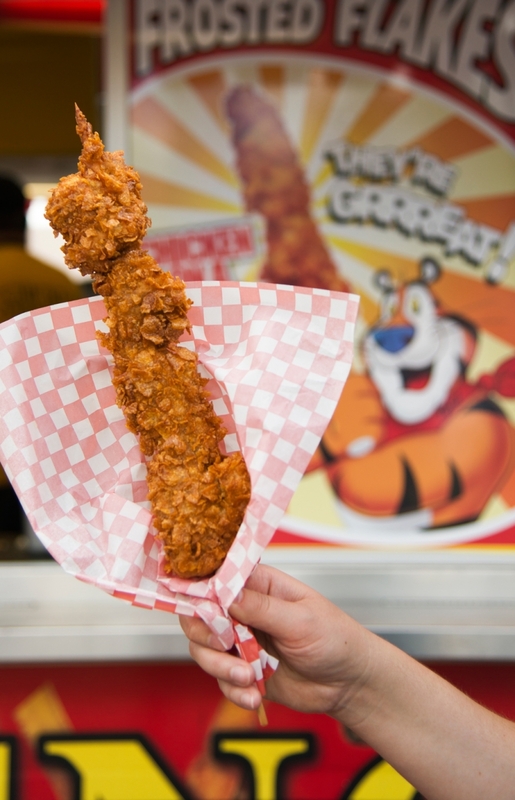 The Frosted Flakes chicken-on-a-stick is new at the Stampede, and worth a try. Don’t let the withered samples displayed on the counter fool you, you actually get a pretty hefty portion of juicy chicken, with a slightly sweet crunchy coating. Pairs nicely with a Colossal Onion, and a nap under a tree in Weadickville. When you’re ready for dessert, try the Beaver Balls. 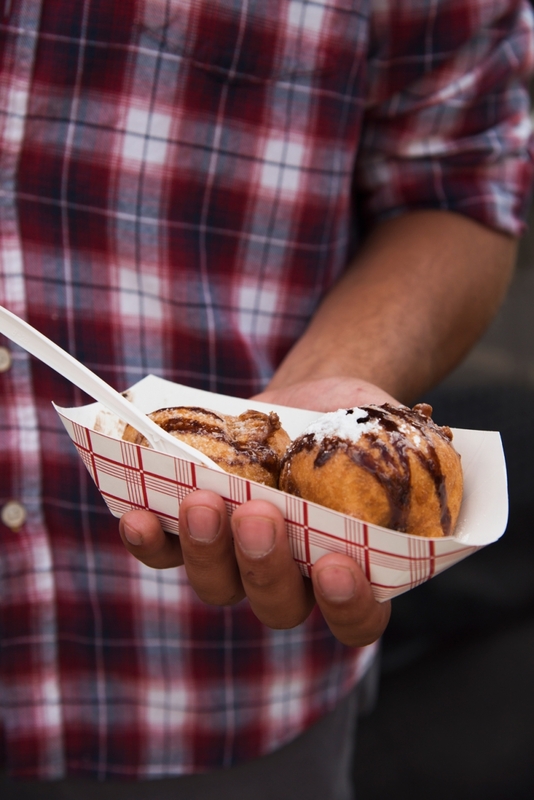 New to the midway and a permanent addition to Calgary’s food truck lineup, they are serving up their nice light cinnamon-sugar dusted doughnuts with all kinds of yummy toppings. The Beach Balls (shown here) come with drizzled with lime coconut cream, toasted coconut, whipped cream, and pineapple. The PBO Stack is the sweet tooth’s dream. A peanut butter cup, sandwiched between two Oreos, battered and deep-fried, drizzled with chocolate sauce and dusted (just in case you didn’t have any cavities yet) with icing sugar. 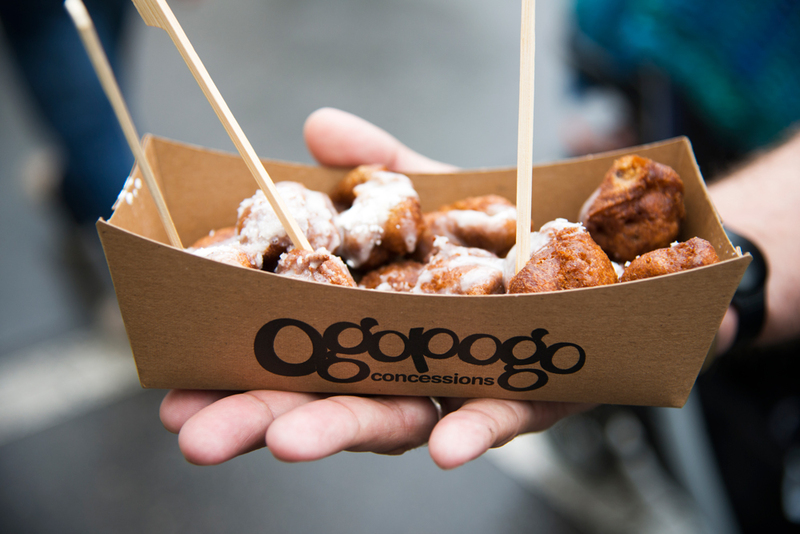 The deep-fried coffee is actually a coffee-flavoured cake batter, deep fried in delicious bite-sized bits and served warm. There are a few different toppings available, like salted caramel (delicious), and cream and sugar.